Hello Disney and Crafty Friends! Just a fast "Throwback Thursday" picture for you. Blurry and taken very far away. Long before I called myself a scrapbooker I took tons of pictures and wrote on the back of them or in the album what they were. 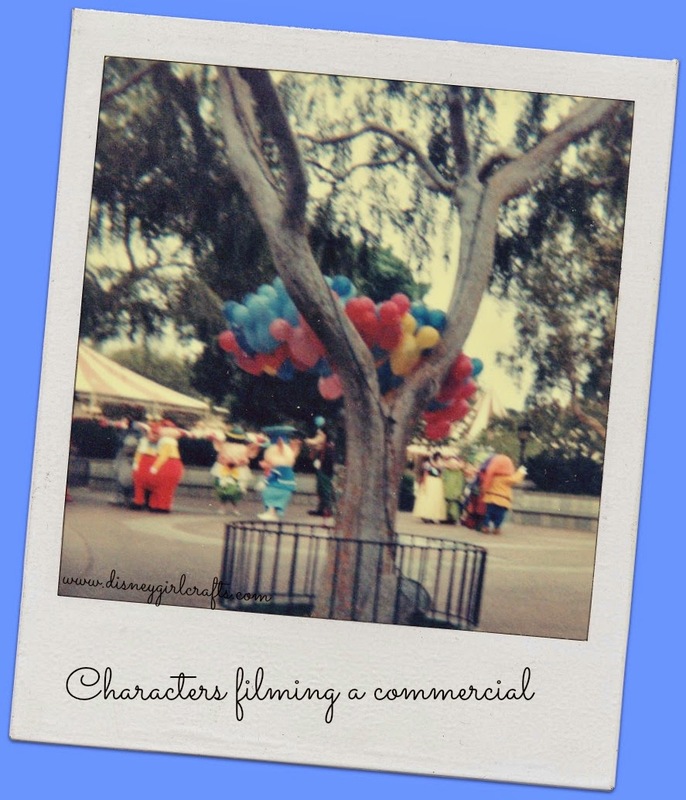 Well this one had the note that the characters were filming a commercial. It was taken in the early 80's (I think...don't quote me..I only wrote what they were doing. LOL) Happy Throwback Thursday to you! Have a magical one!! LOL...we all have photos like this Brenda! TFS!! !